What to do, where to eat and how to get around the holiest city in Israel. Jerusalem has a way of working its way into your gut and touching an emotional core you may not have known existed. Don’t be surprised if you get that I've-been-here-before feeling of having arrived home. How many cities put civilization, spirituality and monotheism on the menu? Still, close encounters of the divine kind have their time and place, but life also has to be lived, and Jerusalemites do so with zest. Before setting out, gird your loins. Jerusalem sits high up in the Judean hills, on the edge of the desert. Summer days are hot but not humid, and at sunset the temps can drop to the chilly sweater/sweatshirt range. Good walking shoes and sun block are essential, as is a bottle of water. In the winter, it is best to wear layers; while it does occasionally snow, you are more likely to unseasonably bake in a strong winter sun. If it rains, it rains hard, so pack a hard-shell jacket in winter. If you’re thinking of visiting any of the holy sites, be prepared to throw on a long-sleeve top and pants or a long skirt, as some of them require this for the sake of modesty and respect to the religious populations. You might also want to download one of these Smartphone apps. Head past the Old City to its forerunner, the City of David. Wade through Hezekiah’s Tunnel (not for claustrophobes), and climb up via King Herod’s drainage system to the Southern Wall excavations inside the Old City. After connecting at the nearby Western Wall, walk up to the Dome of the Rock and Al Aqsa Mosque (check visiting hours first, and make note of the strict rules for visitors). The aforementioned Walls, Dome and Mosque are situated on or around an immense rectangular compound known as the Temple Mount, site of the Jewish Temple (past) and the Muslim Dome of the Rock and Al Aqsa Mosque (present). You’re treading on ground holy to both Judaism and Islam. Round out the religious spectrum by browsing the Arab market toward the Church of the Holy Sepulchre, site of Jesus’ crucifixion and resurrection. If time permits, book a tour of the Western Wall Tunnels, an ongoing excavation that delves into the Jerusalem of Temple times. Switch gears and leave the Old City. Hop on the light railway, getting off at the round-the-clock party known as Mahane Yehuda open-air market – colorful stalls by day, trendy bars by night. Take the same train to its last station and learn about the Holocaust – and its influence on the Israeli mindset – at the extraordinary Yad Vashem museum. Jerusalem is a heterogeneous city of extremes and ethnicities, and its residential quarters reflect dichotomies you won’t find anywhere else in the world. 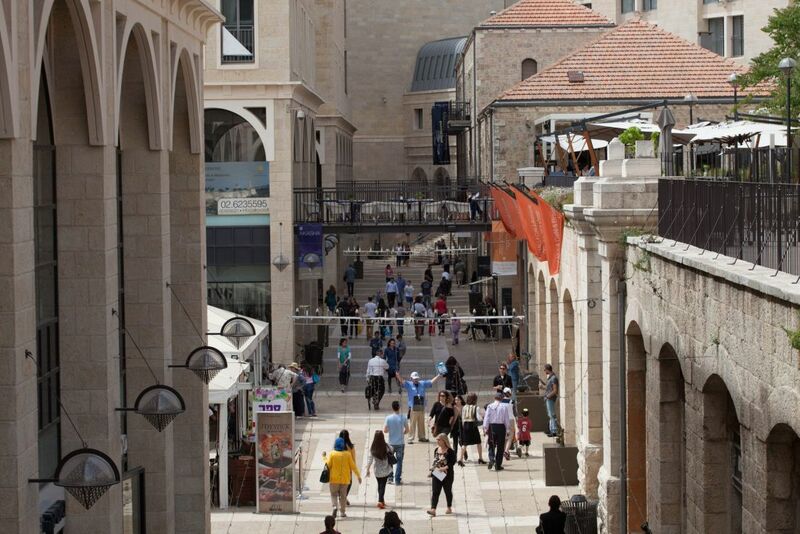 The downtown pedestrian mall and the new light railway have introduced a European feel to what was once a "noisy old dowager" of a city, in the words of local laureate Yehuda Amichai. The dowager still inhabits the walled Old City; passing through its gates, you are transported back in time. Half the people are dressed in traditional garb that would be masquerade ball costumes anywhere else. Each quarter of the Old City – Muslim, Christian, Jewish and Armenian – has its own character. 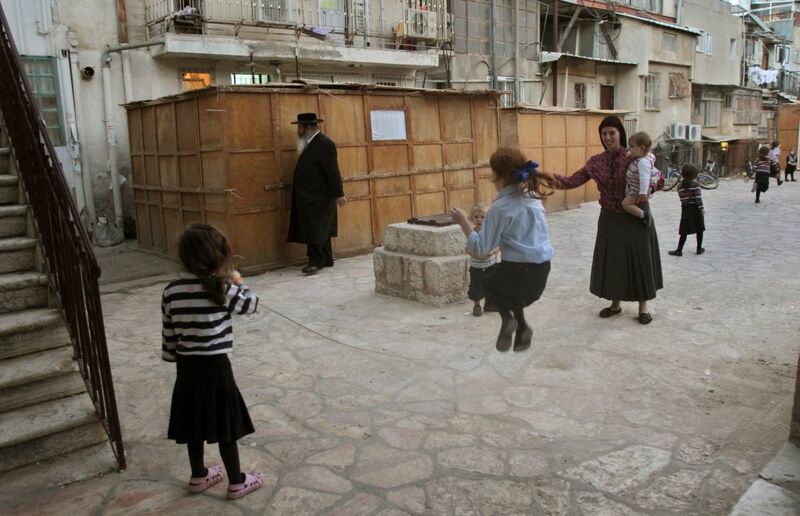 Mea She’arim is arguably the most Haredi neighborhood in the city. Since it’s home to predominantly ultra-Orthodox Jews, be sure to dress modestly here and pocket your camera. But do try to engage the residents in conversation; they might offer some interesting insights on their decidedly different lifestyle choices. Other areas worth strolling through are Yemin Moshe (behind the King David Hotel), German Colony and the postage stamp-sized neighborhoods around the Mahane Yehuda market. Archaeologists have been digging here for a century and a half, most of them with shovel in one hand, Bible in the other. The City of David excavations include an impressive Jebusite fortress and water-supply system (circa 1400 BCE) and a structure that might be the Iron Age palace of King David. The Dome of the Rock is a magnificent building constructed in the 7th century CE on the same hilltop where King Solomon reputedly built the Temple, and from which it is believed Prophet Mohammed took off for heaven to confer with Allah. The Church of the Holy Sepulchre was originally built in the 4th century by St. Helena, mother of the emperor Constantine. Rebuilt by the Crusaders, the church houses two sites of theological significance – Golgotha, the hill on which Jesus was crucified; and the Holy Sepulchre, the burial cave where Jesus was resurrected on Easter Sunday. Other churches to visit can be found here. What sets the Israel Museum apart from the world’s other great museums is the Shrine of the Book, which houses the Dead Sea Scrolls and the scale model of Jerusalem of 2,000 years ago. The archaeology, Israeli art and Jewish ethnography wings aren’t too shabby, either. 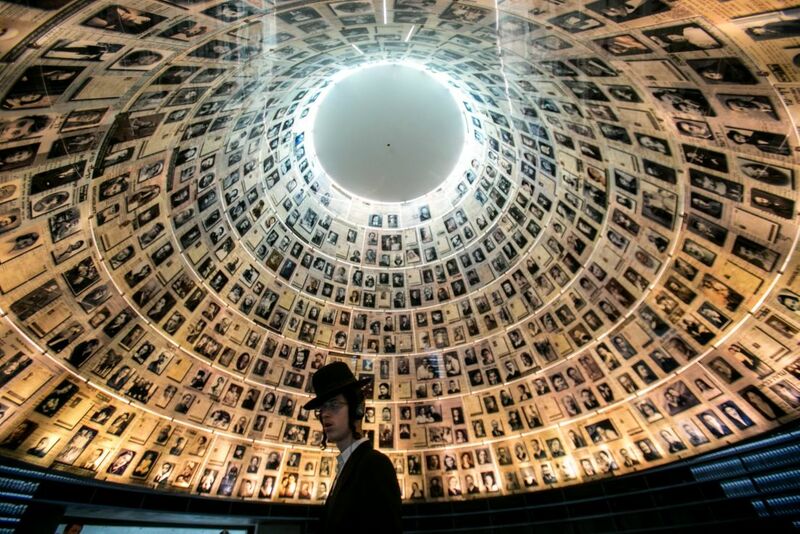 Yad Vashem is more than a Holocaust museum; it is a powerful experience that transports visitors back to a world they might want to forget, but owe it to humanity to sustain its memory. Don’t miss the Children’s Memorial there (no kids under age 10). On the way there, you might see the funky new Bridge of Chords; better yet, take the light railway, from which the bridge is transformed into a kinetic sculpture. Check out the local art scene at the downtown galleries, such as Artists House (free entry) and Beit Ticho (admission fee). 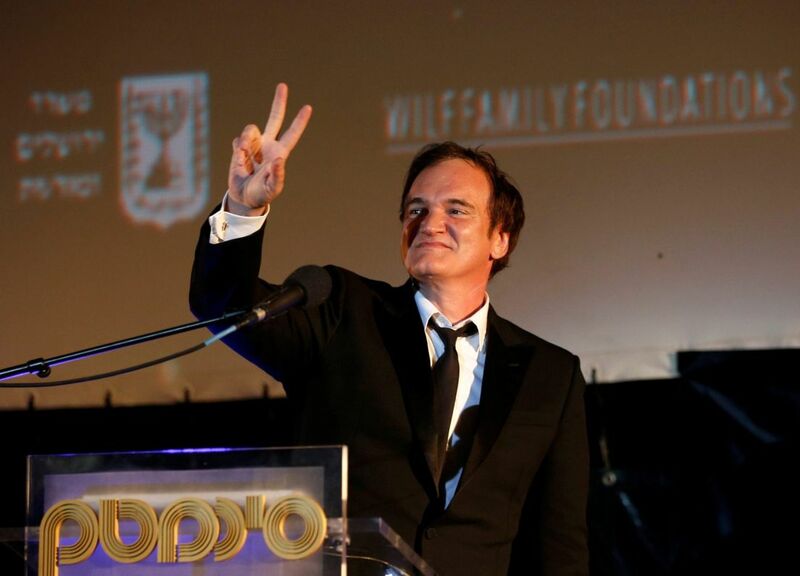 The Jerusalem Film Festival is a major event, held in July. In the evening, take a walk to Jaffa Gate to take in Night Spectacular, a sound-and-light show projected on the walls of the Tower of David (advance reservations required). To find out what cultural events are on any given night, check Haira, the municipality’s website, or at Haaretz’s weekly guide. Don’t be afraid to go native! Ain’t no Starbucks here: Israelis like their coffee strong and Italian. Try Kadosh on Shlomzion Hamalka near Jaffa Road for scrumptious cakes and good coffee. Coffee Mill in the German Colony has dozens of beans and blends. Right down the street is the yummy Ben Ami, but Café Landwer at The First Station may be the trendier place to see and be seen. Head to the Austrian Hospice on the Via Dolorosa for proper Viennese Kaffee und Sachertorte served by nuns (and check out the rooftop view). Try to sample a straight-up Arabic coffee with cardamom (“hel”); it can be eye-opening to sip/people-watch in the Cotton Market near Temple Mount. And if its a cheap cup of takeout hafuch (cappuccino) you’re after, then any Cofix or Cofizz branch will do. 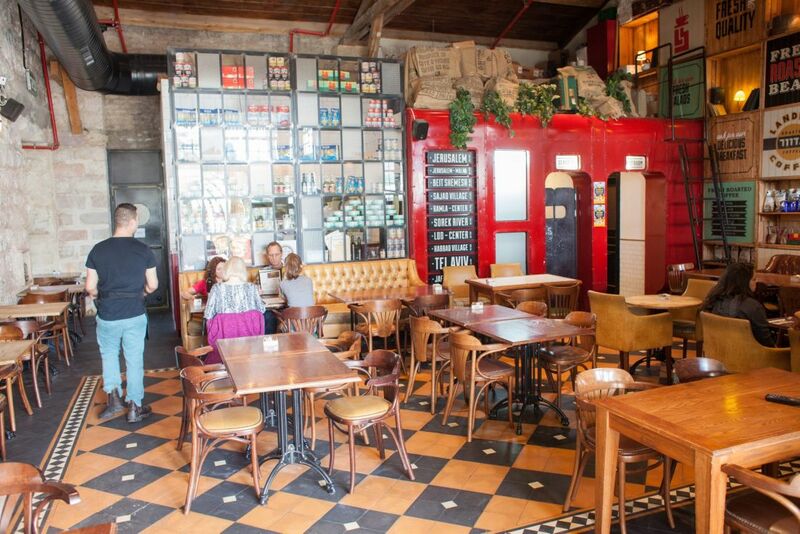 Check out Haaretz’s guide to “The Top 10 Cafés in Jerusalem” here. With its ethnic diversity, Jerusalem’s restaurants offer many yummy options. Aside from your basic Israeli staples – hummus, falafel, shawarma and sabich (like falafel, but fried eggplant subs for the deep-fried chickpea balls) – there are far snootier offerings that offer creative cuisines in eclectic and dynamic settings. If you prefer to sit back, savor the fare and relax after a tough day at work (and being a tourist in Jerusalem is work! ), you may wish to opt for one of the places we’ve reviewed in Haaretz’s guide to “The Top 10 Restaurants in Jerusalem,” here. Jerusalem is a bit like Dracula: it comes to life at night. Revived by a shower after a full day of touring, you are ready to rock ’n’ roll. Yes, Jerusalem has the same been-there sports bars and Irish pubs common to all tourist cities. But you might want to delve into its own unique nighttime vibe. 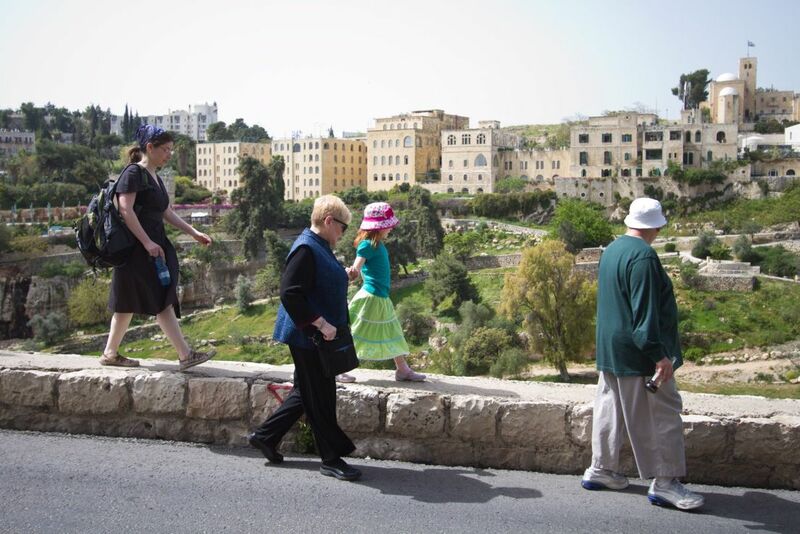 Start with a stroll to Jaffa Gate, and see what develops from there. A caveat: kids and history don’t always get along. Consider making brief sorties to the Old City, and avoid the hottest parts of the day. The half-hour walk through the waist-high water of Hezekiah’s Tunnel is cool + dark + wet = fun. They might love the sifting project at Arazim Valley, where they’re sure to find ancient (and legit) artifacts from the Temple Mount. The Time Elevator on Hillel Street serves up a shake-and-bake history of the city (reserve in advance). 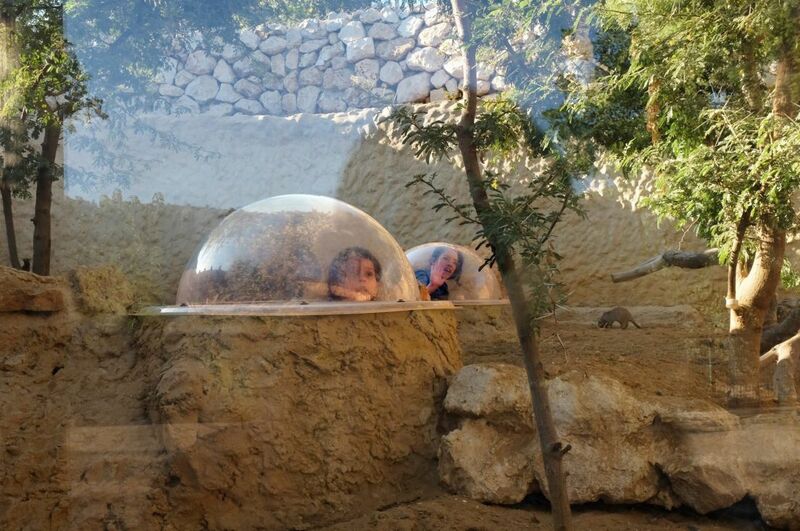 Jerusalem’s got a fantastic zoo, out past the Malha Mall. Rent bikes at The Last Station for a ride on the dedicated trail. There’s also a little merry-go-round there. The Bloomfield Science Museum is very hands-on, and nearby is the Israel Museum with its clever but small Youth Wing; don’t miss the animated short on the Dead Sea Scrolls. What’s worth taking home, you ask? Anything with a Hebrew or Arabic label, exotic oriental spices (at breakfast, sample the zaatar, a bad-boy cousin of oregano), inlaid-wood backgammon sets, antique coins and pottery (don’t buy without a certificate of authenticity) – all can be found in the Arab market inside Jaffa Gate. Cash is safer than plastic, and don’t forget to bargain! Or take the light railway to Mahane Yehuda on Jaffa Road and join the huge open-air party that revs up toward the end of the week, culminating in the hours before Sabbath begins: gorgeous fruits, roasted nuts, best chocolate rugelach pastries ever, designer halvah (crushed sesame candy), Israeli wines and beers. For good local jewelry, Judaica, fabrics and artwork, there’s the Mamilla Mall outside Jaffa Gate or Yoel Solomon Street off Zion Square. You can order a sherut (shared taxi) to the airport from Nesher Taxi, which has the monopoly on this transit option (tel. 02-6257227); they’ll pick up from any address for 66 shekels (about $17) per person. The train down to the coast is scenic but slow: a leisurely 90 minutes to Tel Aviv, and the terminals are nowhere near downtown. Buses are definitely the way to go. Get schedules and info here. If you’re going to be relying on buses, get a Rav Kav pass for 5 shekels when you arrive. With it, you’ll qualify for round-trip discounts and free transfers in the cities. 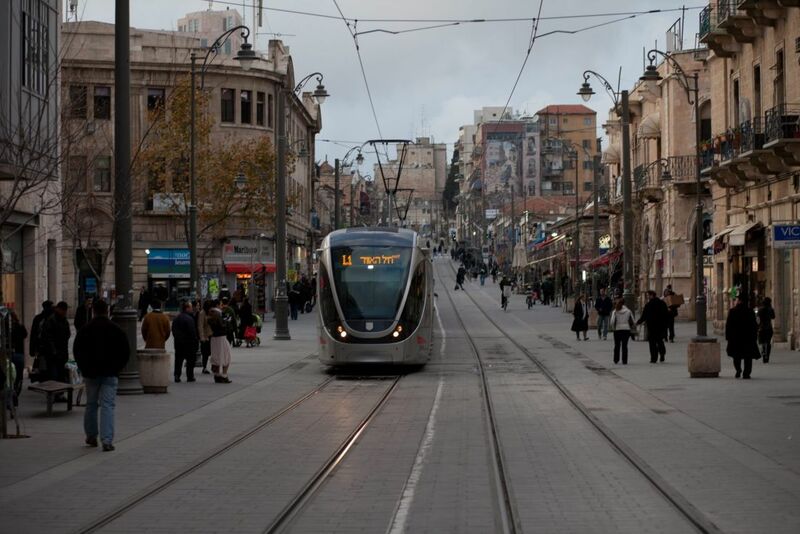 The transfers also apply on the light railway that quickly connects the Old City, downtown Zion Square, Mahane Yehuda market, bus station and Yad Vashem. The city’s more sumptuous hotels hover along the margin between Old City and new city. The King David is the elder statesman of the pack, mainly because so many have stayed there since it opened 80-plus years ago. 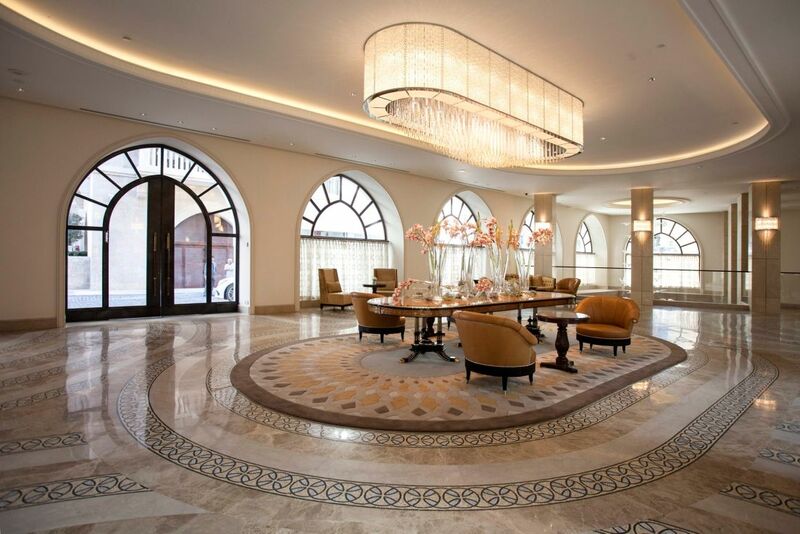 Playing catch-up are the new money Citadel, plush Waldorf Astoria, and modernist Mamilla. At the other end of the spectrum are the cookie-cutter factories in the ‘burbs that host the myriad pilgrim bus tours. Most folks stay somewhere in the middle. If you’ve got small children, perhaps you’d be comfortable in a hotel with a pool, especially in the summer, when you can rehydrate midday. If you’re going to Airbnb it or stay in one of the newer boutique hotels, find a neighborhood with a nightlife: German Colony, Rehavia and Nahlaot are all good fits. Marty Friedlander is a licensed tour guide who has lived in the city that he loves for the past 40 years.